This company looks for outgoing and happy individuals who enjoy working with guests. They love to see a positive attitude that shines through with a smile. If this sounds like you, then find the link to search for Fuddruckers jobs and fill out the Fuddruckers application. Phillip J. Romano converted an old bank in San Antonio, Texas to a restaurant in 1979 and called it Freddie Fuddruckers. By 1988, there were 150 restaurants in the chain, Romano left and the company was purchased by Michael Cannon. The economic crisis of 2008 left Fuddruckers in a financial bind. By 2010, the company went up for auction and Luby’s had the winning bid at $61million. Since then, Fuddruckers continues to grow and the issues of the past are a memory. The headquarters are now located in Houston, Texas. The company is proud to support the communities that they are in. They have partnered with organizations that center around schools, charities, athletic organizations, and other non-profits. In fact, the company held a fundraiser on August 28, 2015 where 20% of the sales went to Community Cakes. How to apply for Fuddruckers online? This company goes through Snagajob for all team member applications. You will want to click on the link listed below, find the Fuddruckers jobs available, and then you will be directed to start or sign up for Snagajob. Once you have signed up, then you can submit your Fuddruckers application. For managerial or office positions, you will have to email your resume. There are many hourly opportunities available at the store. These positions include Cashiers, Cooks, Food Prep, and Wait Staff. They offer higher than average hourly wage and half priced meals. 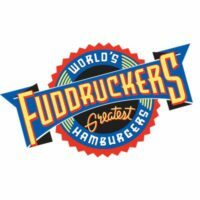 Other Fuddruckers careers are offered in the office and managerial roles. Those opportunities include Food Service Director, Kitchen Manager, Manager, and General Manager. They offer a competitive yearly salary among other benefits. To find more positions, search other Fuddruckers jobs online. How old do you have to be to work at Fuddruckers? The minimum age for entry level position for this company is 16 years old. This company offers a comprehensive benefits package. Some of the benefits include medical, dental, and vision plans, 401k, disability and life insurance, paid vacation, and flexible schedules. If you want to apply in person, there is a printable application for Fuddruckers available to download through the link below. Keep in mind that hours vary by location, so please call your local store before you apply for jobs at Fuddruckers in person. Cashier – The Cashier is responsible for calculating the bills accurately, answering customer questions, ensuring exceptional customer service and meeting expectations. Other duties include having knowledge of the food items, assisting in the development of long term financial operational plans, and maintaining product quality standards. Guest Service Attendant – The role of the Guest Service Attendant is responsible for providing outstanding customer service by suggestively selling deserts and promotional items when assisting guests with their order and maintaining the cleanliness and sanitation standards of the company. Utility/Dishwasher – The responsibilities of this role include ensuring dining room tables are cleared in a timely manner, sweeping and cleaning the floors, maintaining the cleanliness inside and outside of the restaurant and monitoring the beverage area for stock and cleanliness. Other duties include regularly checking the stock and cleanliness of restrooms, making sure that all dishes, pans and other utensils are washed, rinsed, and sanitized and providing excellent customer service when necessary. Production/Prep Cook – The Production/Prep Cook is responsible for preparing products, following recipes, setting up and maintaining a picture perfect, bountiful produce bar. Cook – The Cook will coordinate and execute the preparation of our customers’ meals, following the company’s specifications and procedures, in a timely manner. Other responsibilities include having an extensive knowledge of menu items, ingredients and promotions. The following questions are a mixture of those that have been asked of previous candidates and those that are typically asked during an interview in the restaurant industry. Tell me about a time you helped someone out? This can be answered by giving examples from previous school or work experience. It is recommended that you use an example that focuses how you worked in a team situation, or a situation that you helped someone without any benefit to yourself. If you were hired, how would you benefit the company? You should show off your enthusiasm, skills, and strengths to answer this question. Let your personality shine through. Has anything ever irritated you about people you’ve worked with? Everyone has one or two pet peeves, things that others do that irritate you. Make sure that the things that irritate you are things that will make you sound like a stronger candidate. Some examples would be a person who doesn’t act like part of the team, someone who is rude to a customer, or someone who doesn’t seem to care about his or her job. These are examples that will strengthen your position without you seeming like a nag. Do you consider yourself to be an outgoing, fun person to be around? Don’t give a one word answer to this question. Make sure that you give examples of why you consider yourself to be fun and outgoing. The first place to begin in the application process is the application. Make sure that you read all instructions carefully and update your resume to match your application. You will also want to do some research and gather some questions to ask the interviewer. You should dress in business casual attire, which means that you should stay away from heavy makeup, loose jewelry, sandals or flip flops, and shorts. Prepare yourself for the interview by getting rid of distractions, such as your cell phone, and practicing interview questions with another person. If this is your first interview, take a few breaths before going into the building, smile, and relax. Make sure that you introduce yourself to the hiring manager with a firm handshake. Use proper posture, smile, and make eye contact. Be concise with your answers and use examples from your previous school or work experience. At the conclusion of the interview, ask the interviewer what the turn-around time is for a decision and thank the hiring manager for his or her time.